Specially formulated to care for your feet. 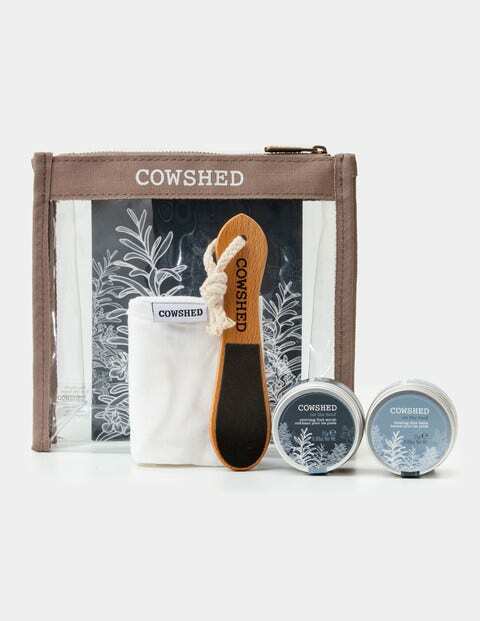 The fragrance of the Cowshed® footcare range was inspired by the walled garden at Babington House, with essential oils of zesty grapefruit combined with earthy clary sage and rosemary. Perfect for travelling, this kit also makes a great gift.